(UPDATED) - Six police officers were killed while nine others were wounded in a "misencounter" with Army troopers in Samar province on Monday morning, June 25. As of 9 p.m. Monday, there were conflicting reports on where the incident occurred. Eastern Visayas Police director Chief Superintendent Mariel Magaway said the incident occurred at around 9:27 a.m. Monday in Barangay Sta. Rosa in Villareal town while a spot report by the Sta. 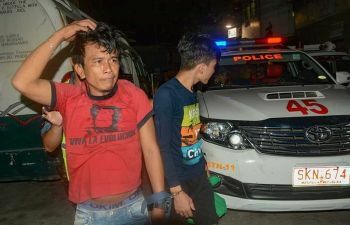 Rita Municipal Police Station said the clash happened “at about 09:20 a.m. of June 25" in the vicinity of Sitio Lunoy, Barangay San Roque, Sta. Rita, Samar. Magaway said elements of the Philippine Army 87th Infantry Battalion, who have been conducting combat operations in the area for the past five days because of the reported presence of armed men, ambushed and fired upon members of the 805th Mobile Company of the Regional Mobile Force Battalion 8, who were then also conducting minor combat operations in the vicinity of Barangay Sta. Rosa in Villareal town. "Sabay nag-conduct ng combat operations ang PNP at AFP kaya nagkaroon ng encounter (The PNP and AFP conducted simultaneous combat operations, hence the encounter). The Army were conducting operation dahil merong reported na armed groups doon sa bundok, mga NPA (New People's Army)," she said. Magaway said the PNP has activated a Special Investigation Task Group to look into the incident. Killed in action were Police Officer (PO) 1 Phil J Rey Mendigo, PO1 Edwin P. Ebrado, PO1 Wyndell S. Noromor, PO1 Rowel Reyes, PO1 Julie Y. Escalo, and PO1 Julius R. Suarez. Wounded in action on the PNP side were PO1 Romulo Cordero, PO1 Elmer F. Pan, PO1 Chris Angelo A. Pialago, PO1 Jaime G. Galoy, PO1 Rey C. Barbosa, PO1 Jonel C. Gonzaga, PO1 Rommel Bagunas, PO1 Janmark K. Adones, and PO1 Roden T. Goden. The spot report received from the Sta. 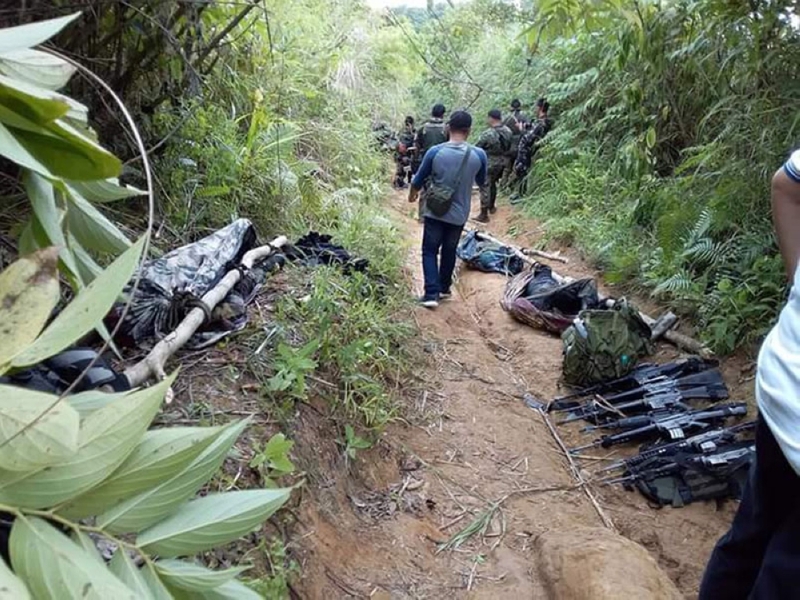 Rita Municipal Police Station said elements of 1st Platoon, 805th Company of the RMFB8 led by Police Chief Inspector Don Archie Suspeñe were conducting patrol heading towards Sitio Canunay, Barangay Rosal in Sta. Rita town when they were waylaid by unidentified armed men who turned out to be Army troopers. The report said the firefight lasted for approximately 20 minutes, which resulted in the death of six policemen and the wounding of nine others. “Initial investigation conducted disclosed that the opposite side who initiated the firefight were elements of one section of Charlie Company, 87th IB, PA, 8ID led by 1LT (First Lieutenant) Orlando M. Casipit Jr. with 16 enlisted personnel,” the report added. Sta. Rita municipal police are still conducting a follow-up investigation and appropriate action, the report said.